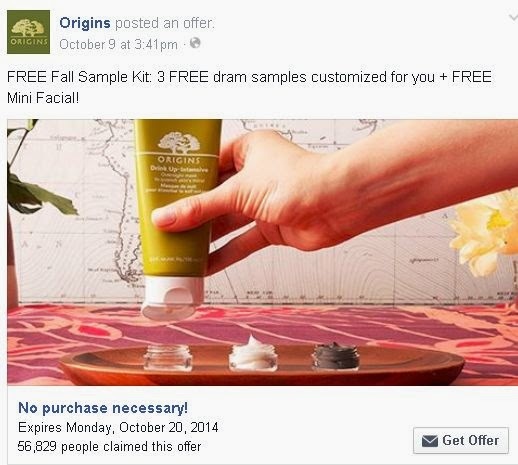 This free sample includes 3 free dram samples customized by you plus a free mini facial. Click the link below to go to the offer page on Facebook. Once on the Facebook website click on "Get offer" then print the coupon, and take it to one of their stores before October 20, 2014.